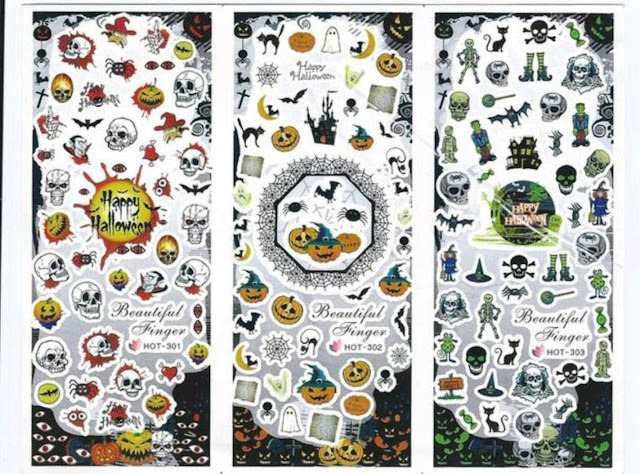 I love these Halloween water decals (item #33871). 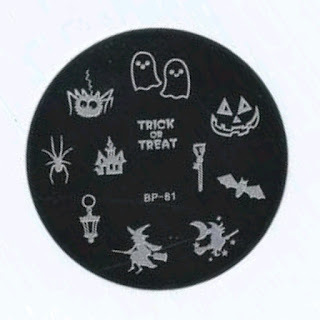 There's so many on this page! 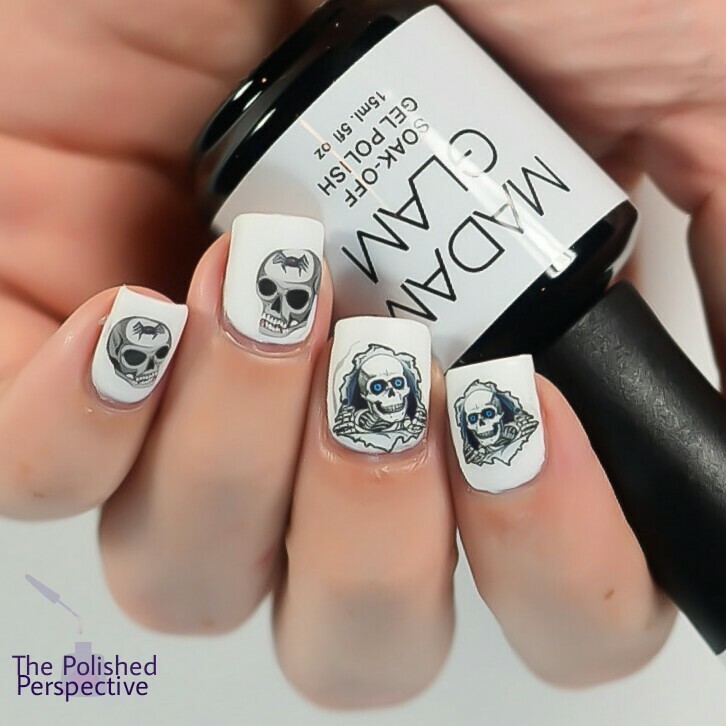 I chose to do a monochrome look using the skulls on the very right panel. I also used Madam Glam Perfect White as my base. This is a cute Halloween plate (item 23264) with witches, pumpkins, and ghosts. 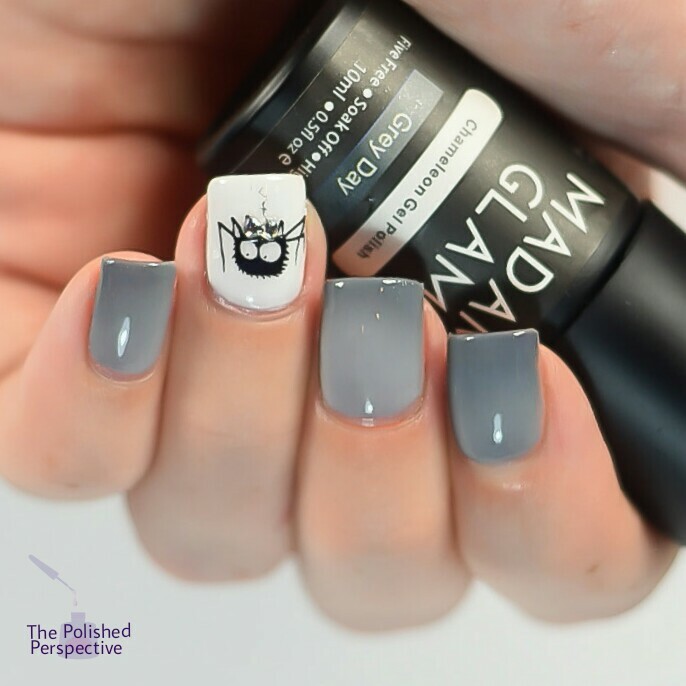 I used Madam Glam Grey Day, a light to dark grey chameleon gel, and Madam Glam Perfect White as my base. I then added a cute 3D bow on the spider because it's obviously a girl spider. Both of these nail art items are from Harunouta.com 春の歌. Use my code, THET300. You will receive 300JPY ($2.87) off of any purchase of 2000JPY ($19.13). The water decals are perfect! I really like those decals! And both your manis are so cute! 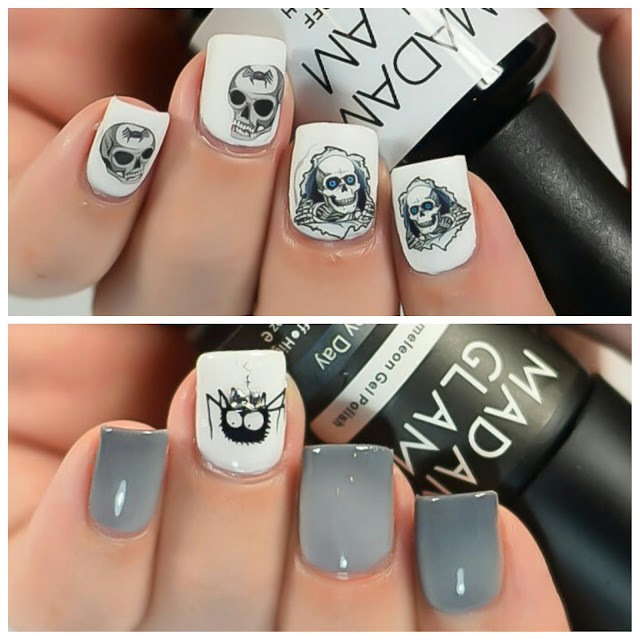 I really love those skulls!